Award-winning actress and singer Diahann Carroll (b. New York, NY, July 17, 1935) is best known for her performances on Broadway in the musicals House of Flowers (1954) and No Strings (1962) and on television in Julia (1968–1971) and Dynasty (1984–1987). A true pioneer, Carroll appeared in some of the earliest films and television series to feature African-American casts. Born Carol Diann Johnson in the Bronx, she moved with her parents to Harlem as a young child. She began singing in her church choir at the age of six, and took lessons in piano and voice. She attended the New York High School of Music and Art under a Metropolitan Opera scholarship. At the age of sixteen she changed her name to Diahann Carroll with the object of sounding more exotic, and after winning her audition for the Arthur Godfrey’s Talent Scouts television show, began performing regularly on radio and in nightclubs. 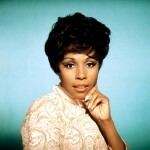 Though Diahann Carroll never made it big in the movies, she was very successful on Broadway and in television. Playing the part of Barbara Woodruff in the 1962 musical No Strings, she won the Tony Award® for Best Actress, the first African-American woman to do so. She also released several vocal albums during this period, including Diahann Carroll Sings Harold Arlen (1957), Diahann Carroll and Andre Previn (1960) and The Fabulous Diahann Carroll (1962). Fans remember her well from the 1968 television series Julia, which made her the first African-American actress to star in a non-stereotyped role in a television series. Her performance won her the 1968 Golden Globe Award for Best Actress in a Television Series, and brought a 1969 Emmy Award nomination as well. Carroll’s role in the film Claudine got her an Oscar® nomination in 1975, making her one of only eight African-American women ever to have received an Oscar® nomination for Best Actress. From 1984 to 1987 Diahann Carroll was a cast member on the primetime soap opera Dynasty. At the end of her Dynasty run, she married Vic Damone, her fourth husband, and toured the concert circuit with him well into the ’90s, when the relationship soured. Meanwhile she continued to appear on television in various capacities, and in 1989 received her third Emmy Award nomination for a recurring role on A Different World. In the late 1990s and early 2000s she had an impact in movies made for television: Having Our Say: The Delany Sisters’ First 100 Years (1999) and Livin’ for Love: The Natalie Cole Story (2000). More recently she has appeared on Grey’s Anatomy (for her fourth Primetime Emmy Award nomination) and in USA Network’s White Collar. A survivor of breast cancer, Diahann Carroll remains a dedicated activist, fighting for both prevention and awareness. During a national broadcast special, she even allowed a camera crew into her treatment room with the hope of drawing attention to the disease. She has one daughter, born in 1960, from her first marriage.